Twitter has today reported a better-than-expected 24% increase in fourth-quarter revenue, helped by growth in its video advertising business. But the social media company also posted a decline in monthly active users. This was partly due to its campaign of deleting millions of abusive accounts after facing criticism it was being used as a platform for political influence operations and hate speech. The company said its overall revenue rose to $909m in the quarter, beating Wall Street's average estimate of $868.2m. Total advertising revenue rose 23% to $791m. More than half that revenue came from video ads placed by corporate clients. Revenue from data licensing and other non-advertising businesses rose 35% from a year earlier to $117m. Twitter reported a quarterly profit, excluding some items, of 31 cents per share. Analysts had expected 25 cents, on average, according to IBES data from Refinitiv. Twitter said that after the current quarter it would stop disclosing monthly active users, a statistic that has become standard among internet companies over the last decade. For the current quarter, Twitter said it expected total revenue to be between $715-$775m. Analysts are expecting about $765m, on average. 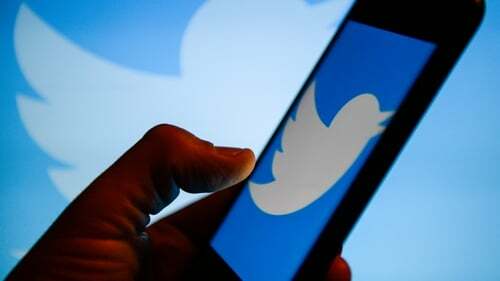 Twitter said it expects operating expenses to rise about 20% year-on-year in 2019 due to efforts to improve its service, above analysts' average estimate of 12%. It also said it expects capital expenditures to be between $550-600m, well above analysts' average estimate of $415m for 2019.